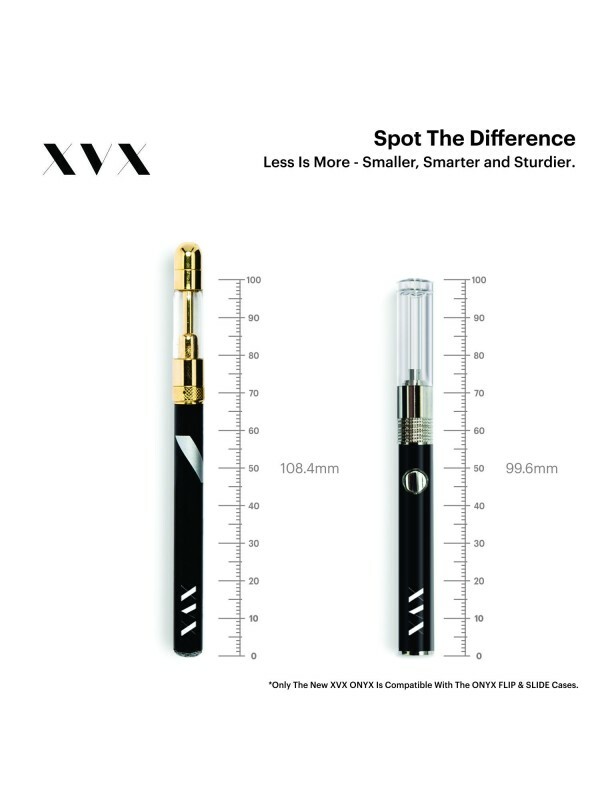 The XVX ONYX is the world's smallest refillable e-cigarette, at only 15g it gives you control over nicotine strength and flavour combinations. The ONYX is compliant with new TPD regulations and designed to work in collaboration with the FLIP & SLIDE cases(Sold separately), allowing you to charge your XVX ONYX through the popular connection most android mobile phones are charged. The XVX ONYX 100mAh battery offers 150 puffs when fully charged and has a BLUE LED tip and charging connection with WHITE LED around the main button of the battery. The 1ml capacity tank has been designed last for approx. 200 puffs. Your XVX experience starts from the moment you hold the packaging, presented in a black card portable packaging solution, allowing you to keep your ONYX safe and discreet without compromising on style. This attention to detail is designed to give you an exclusive experience every time you reach to your pocket or purse to present yourself the ONYX. The ONYX tank is recommended for use with the XVX E Liquid range which features pin point, precision needle tipped bottles to ensure no spillage or waste. The ONYX can be used with other E Liquids including with nicotine, we recommend a high VG to PG ratio. The XVX ONYX features overcharge safety protection which safeguards against short circuit, overcharge or burn out. XVX offers a full 30 day money back guarantee and an unrivalled 6 month warranty with all products. Simply contact XVX via the contact form or by calling our direct dial, local rate number.